As promised, here is part 2 of my 3 part Summer Fab Series. I’m sure a lot of people have moved past pattern mixing but I am still going strong. 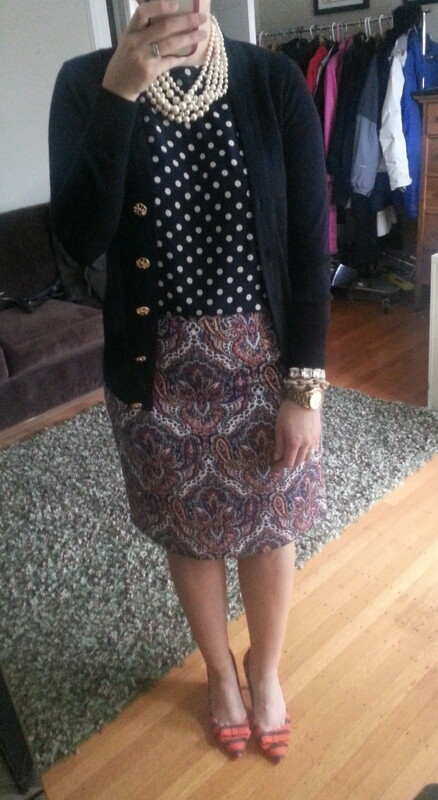 For me, it’s really just another way to pair clothes – of course paisley goes with polka dots! I actually really like the way pattern mixing challenges my outfit planning and I’m always looking for new combinations – even though really, at the end of the day it’s floral, stripe, polka dot, animal print, paisley, rinse repeat.So, here we go, a few of my favorite summer pattern mixing outfits. Stripes and polka dots are the two patterns that you can pair up a little more easily. 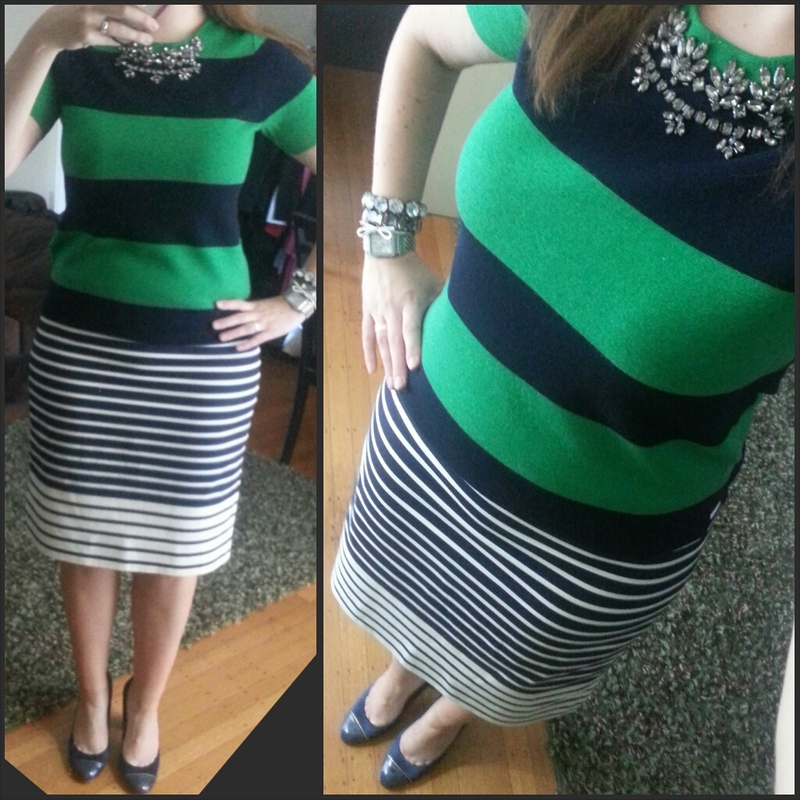 I love the simple navy and green combination and the different width stripes added more interest to this outfit. Next up…triple pattern mix. I love paisley and stripes…and paisley and polka dots…so I decided to go for all three! I kept it “toned down” by adding the navy cardigan. 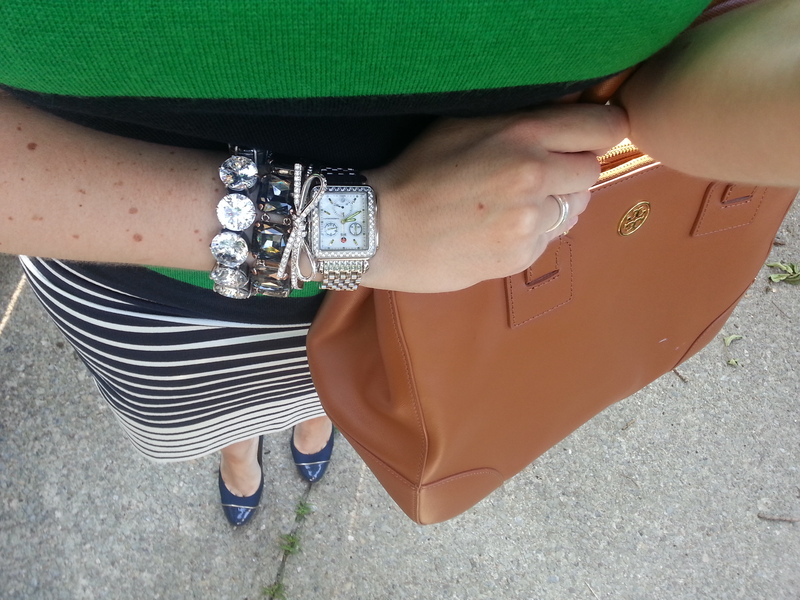 I love this Tory Burch cardigan because it’s like having some fun jewelry on my cardigan! 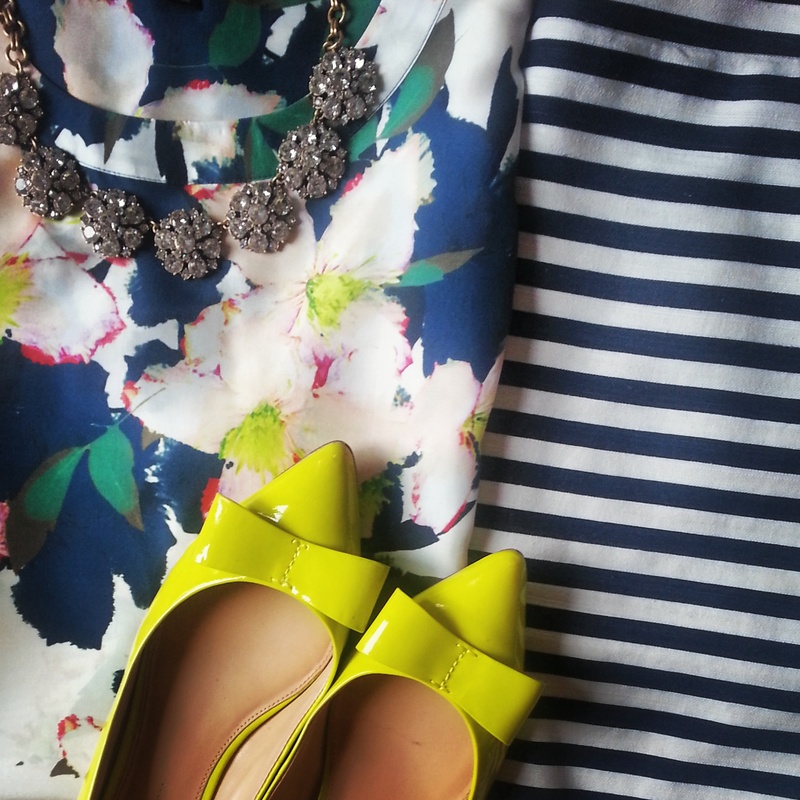 And last but not least…probably my favorite pattern mix of the summer…floral and stripe. I’ll admit, it’s been quite a few years since I’ve been in to any florals but this Cove floral blouse caught my eye this year and it’s been fun to style. So, there you have it, a few of my favorite summer pattern mixing looks! What do you think? Any favorites? Too many patterns? Would love to hear what you think and thanks for visiting! LOVE LOVE LOVE these mixes — you have a great eye for color combining, which is what allows all the patterns to flow together so well! I grew up in the solids with stripes, solids with dots, paisley alone era, so I am fascinated by the pattern combining! hi! thank you so much!! 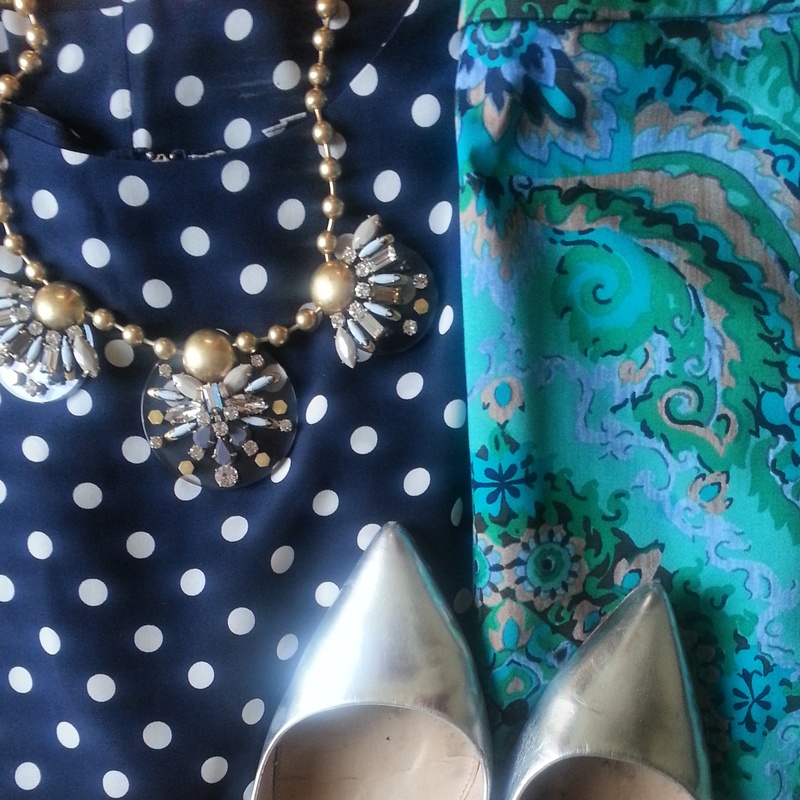 I spent a lot of years only wearing solids and just try to have fun with it! Thanks so much for stopping by and taking the time to comment! 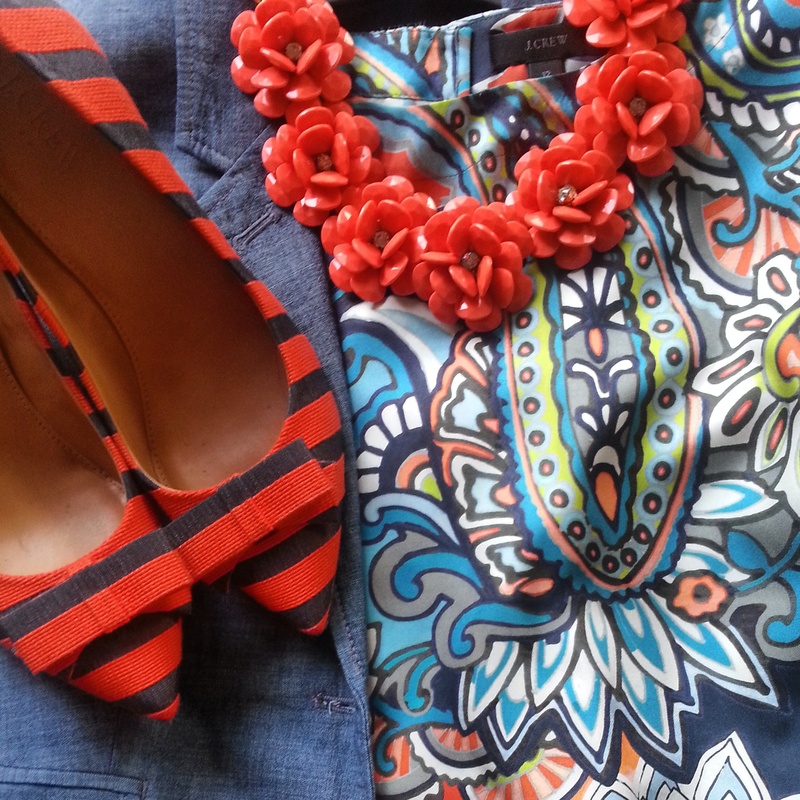 Love your flair with pattern and colour….you are my style icon! Aww, thank you so much! That totally made my night – really appreciate it. Thanks so much for reading!